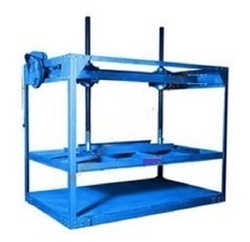 Offering you a complete choice of products which include hydraulic pressing machine, sheet pressing machine, hydraulic sheet pressing machine and motorized sheet pressing machine. Auto cycle - One button press M/c Presses 1, to desired pressure 2, for desired time & 3, returns to neutral. 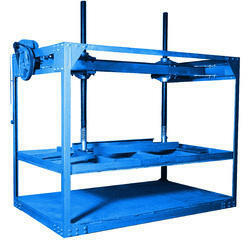 Motorized Sheet Pressing Machine Heavy Duty Standard Model with 4 pillar with motor & accessories. 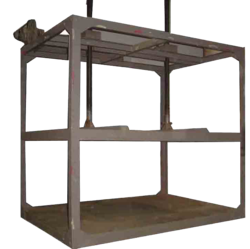 Classic, Heavy Duty Hydraulic Sheet Pressing Machine with Accessories. Available sizes- 50"x65", 55"x75", 60"x100". 65" x 75" 2 30" x 105" 140" 900 - 1000 Kg. The pressures on the sheets are regulated by spring action. The lower plate is fixed and upper moves up and down by reversible switch. Classic, Heavy Duty Standard Model Motorized Sheet Pressing Machine with accessories.